Is it possible to gain experience, skill and wisdom while still retaining a youthful naiveté? Can it still be as much fun as when you first started? I think not. The music of Pluxus is still performed by hands seemingly more comfortable with a computer keyboard than a piano, but those hands now know much more about what they are doing. A listen to their first album "Fas 2" confirms a feeling I hadn't been able to put into words before: Pluxus are getting older and the moody, brooding pieces now dominate uncontested. To be fair, of course, there are exceptions. 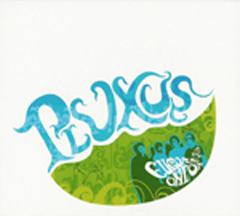 Pluxus must loathe the constant comparison between their sound and that of classic computer game soundtracks. Still, having spent countless hours playing "Paper Boy" and "Paradroid" and their likes, I know exactly what they sound like, and the similarity to the frenetically droning "Psykopotät" is not exactly subtle. There, as in "Agent Tangent", a vigorous and playful Pluxus can be heard. But mostly, and even to some extent in the fast songs, melancholy holds its firm grip. Mournful melodies, simple as though played on the keyboard using just one finger, evoke something introspective in me. At the same time the obsessively recurring, almost haunting melody lines quickly become annoying, and I start looking for a subtler record to play. Next week I might give this one another try.